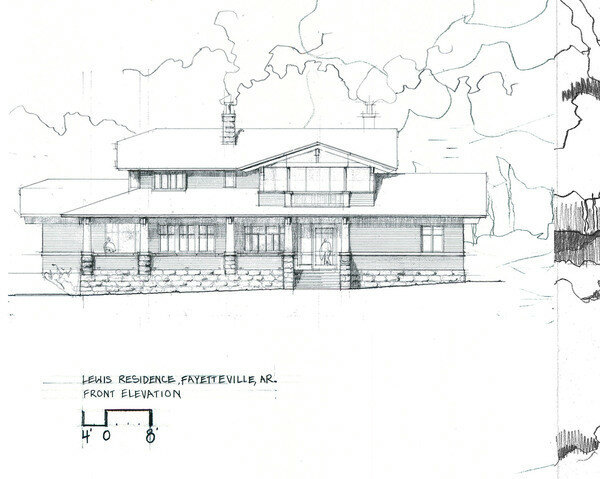 The Lewis Resicence design was done by de Noble Architecture PA, and being part of the design team I was in charge of creating the rendering for the Design Development phase. 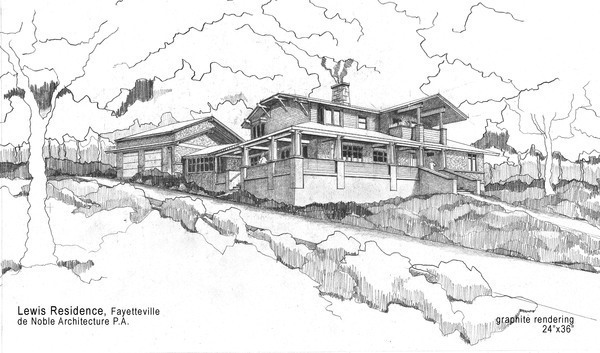 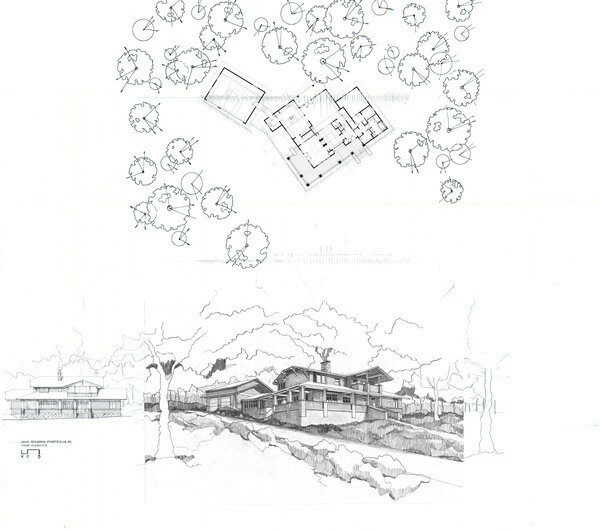 The perspective was projected from plan and section, and the final rendering; graphite. 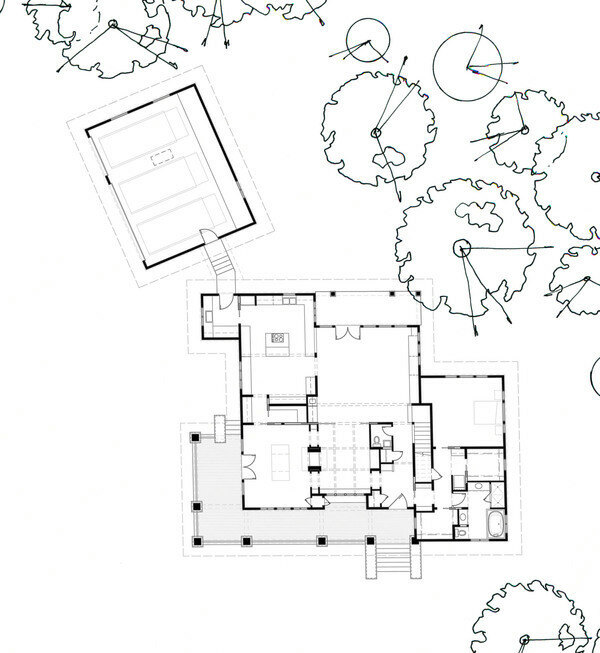 Perspective Rendering - As it was, when projected from a Plan and Elevation.